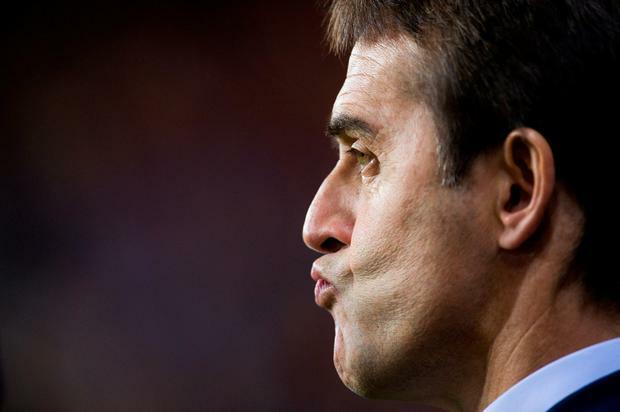 Spain's decision to sack coach Julen Lopetegui on the eve of the World Cup has harmed their chances of success, according to a leading psychologist. The Spanish Football Federation (RFEF) removed Lopetegui on Wednesday, two days before their opening Group B game against Portugal, and appointed director of football Fernando Hierro to take charge instead. RFEF president Luis Rubiales said the governing body had no choice, after being informed of Lopetegui's decision to become Real Madrid boss after the tournament only five minutes before that move was announced. Real said on Tuesday that Lopetegui, unbeaten in 20 games in charge of the national team, would take up his new position after the World Cup finals. "I cannot believe why Spain have done that," Sir Cary Cooper, professor of organisational psychology at Manchester University, told Press Association Sport. "I cannot understand it. "(Hierro) stepping in to coach the players gives them some continuity. They're not bringing in a brand new coach at the last minute. "But this will have a negative impact. I can't imagine it being positive. Why take this risk when they play on June 15? "Spain may have damaged themselves over some bureaucratic issue. They should have thought through how the players will react." Professor Cooper says the RFEF may end up counting the cost if the players felt a strong allegiance to Lopetegui. Lopetegui, 51, spent two years as coach at Porto before taking over at the Spanish national team in July 2016 following the retirement of Vicente Del Bosque. Lopetegui also had spells in charge of Spain's Under-19s, Under-20s and Under-21s and was unbeaten in 20 games after succeeding Del Bosque, who led Spain to victory in the 2010 World Cup and 2012 European Championship. "If the players bonded under this coach, if they liked him and he was a really good team builder, then this is a mistake," Cooper said. "That's all there is to it and it will affect their performance. "It depends on how they react to it and how they perceived Lopetegui in the first place. "If the players have a really positive view of the coach, Spain may have really damaged themselves. "They shouldn't have done that. They should have thought it through. Did they like him, were they developing, were they ready to go? "They should have brought this into the equation rather than do it on a bureaucratic issue because they weren't informed. "In football people move a lot, you have to expect that, but not only that he's moving to a Spanish club, which makes it even more unusual that they should sack him."